Music can transform any ordinary experience into something profound. Humans are inherently musical beings. As one of the first art forms, it is written in our DNA. 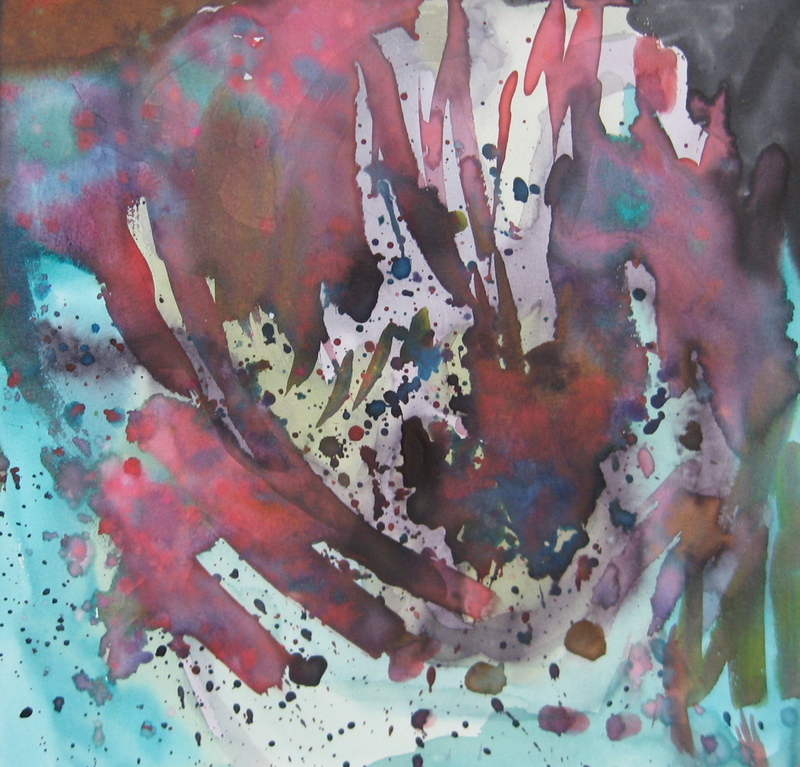 For this selection of art activities, I play a collection of songs that have a strong emotional quality and allow students to explore color and line to express on paper how the sound makes them feel inside. Some songs are fast, loud and intense. Others are slow and calm. 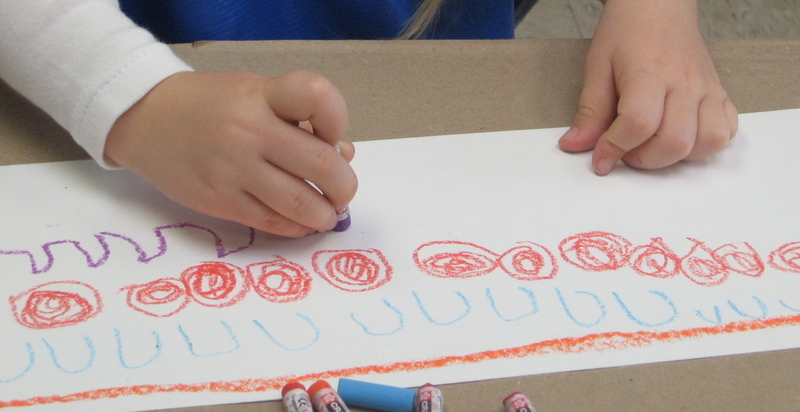 Students begin by using an imaginary brush to form expressive lines in the air while listening to a song. They vary with each song, even each verse in a song. We also discuss color choices that would best express an emotion we feel from a song. What Does Music Look Like? I usually begin the fast paces songs, then move onto the slow, calm. This change allows them to really distinguish between sounds and asks them to stop and think how they plan to express the emotion that the music creates for the listener. Moving from loud to soft also settles the students and calms them down for the remainder of their work time. Do you play music while students work during class? Set up a meaningful research experiment by playing various types of music and documenting how it affects a students work ethic. In the image above, expressive lines are painted over a colored background. When your activity is focused on line, I find it best to use black so the focus stays on the content not the color. 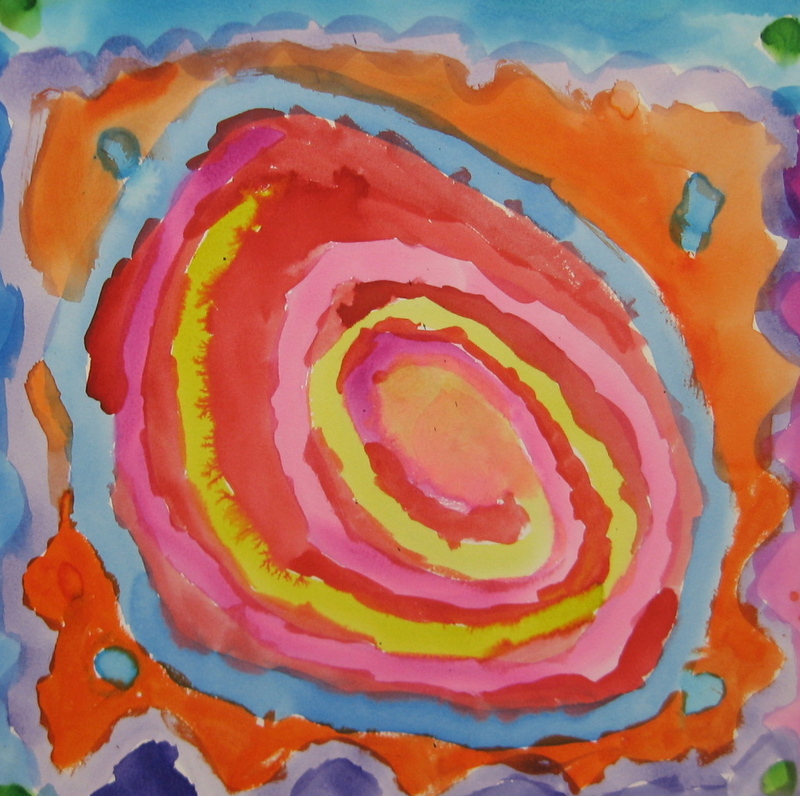 This activity can be done with oil pastel and watercolor as well. However, as I noted above, using color to create lines may take away from the focus of the line and divide it between line and color. Choose your focus and then an art medium that will best achieve your learning objective. 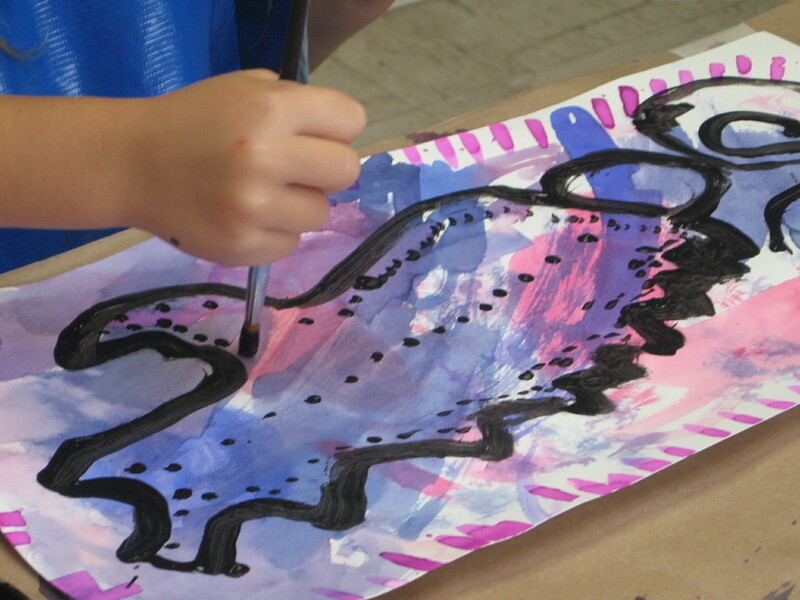 In the image above, students were asked to create a variety of expressive lines, each one in a new color. 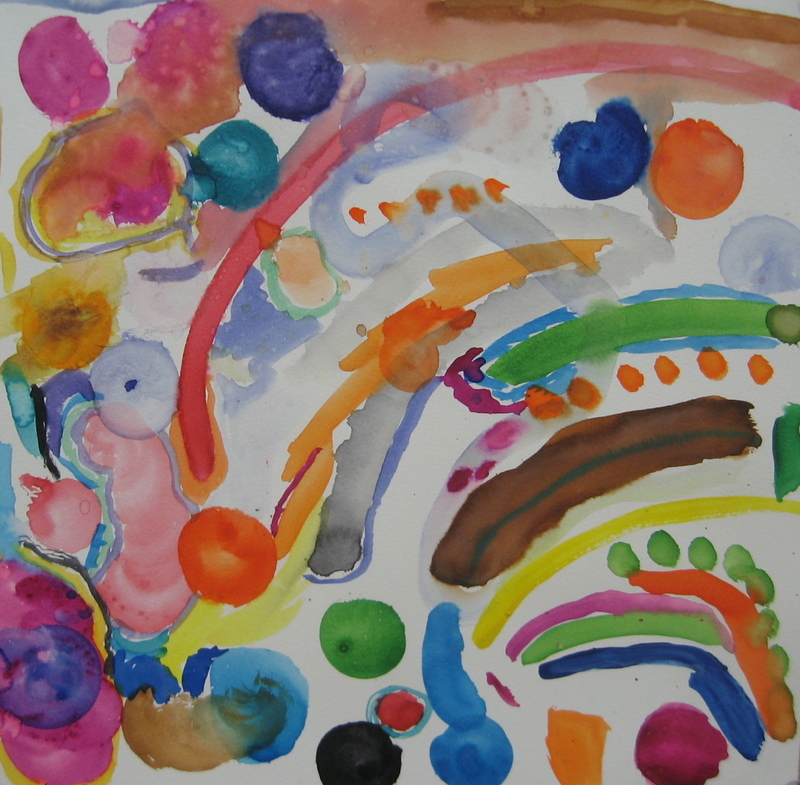 In this activity designed for 4-year olds, a colored watercolor wash was applied over the oil pastel lines. This magical duo is a thrill to watch every time. Motivation: Have students generate a collection of expressive lines on a large bulletin or white board. Discuss how certain lines are slow and others are fast. Ask a student volunteer to draw a quiet line, and then a loud line. Then introduce colors and emotions. Read aloud “My Many Colored Days” written by Dr. Seuss. Ask students to pull calm colors from a color swatch pile. Can you express sad with a color? How about fast or loud? Lesson Development: Have students listen to the song and discuss their line and color color choices. Ask students explain their choice. Draw the line movements in the air with a brush and begin. Once the music stops, the art stops. Wait for the song to play and begin your emotional art experience once again. Note: In the images display above, students created one work of art that expressed the faced paced, upbeat songs and a second that illustrated the more calm and slow songs. Skill Level: Pre-K and above.